So what does this have to do with organic chemistry? Gloves are chiral objects. That is, they lack an internal plane of symmetry. Left gloves and right gloves are mirror images of each other, but they can’t be superimposed. In chemistry, there’s a word we have to describe a pair of non-superimposable mirror images – they’re called enantiomers. 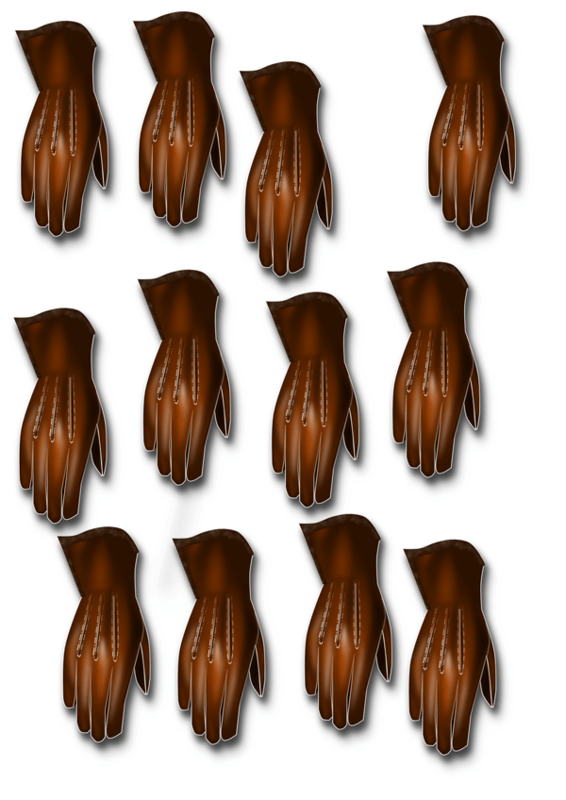 In the first drawing, we have an equal number of left and right gloves (i.e. enantiomers). This is called a racemic mixture of enantiomers. 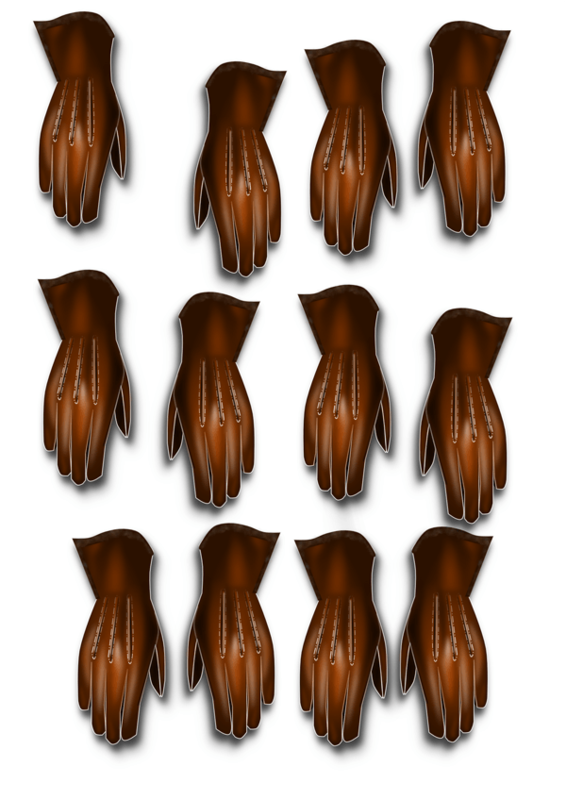 In the second drawing, we have an excess of right gloves compared to left gloves. In a situtation like this we can say we have an “enantiomeric excess” of gloves, or alternatively, the mixture is “enantioenriched” in the right-hand glove. [We can also calculate the “excess” here: the mixture is 66% right and 33% left – so we have a 33% “excess” of the right-hand enantiomer]. 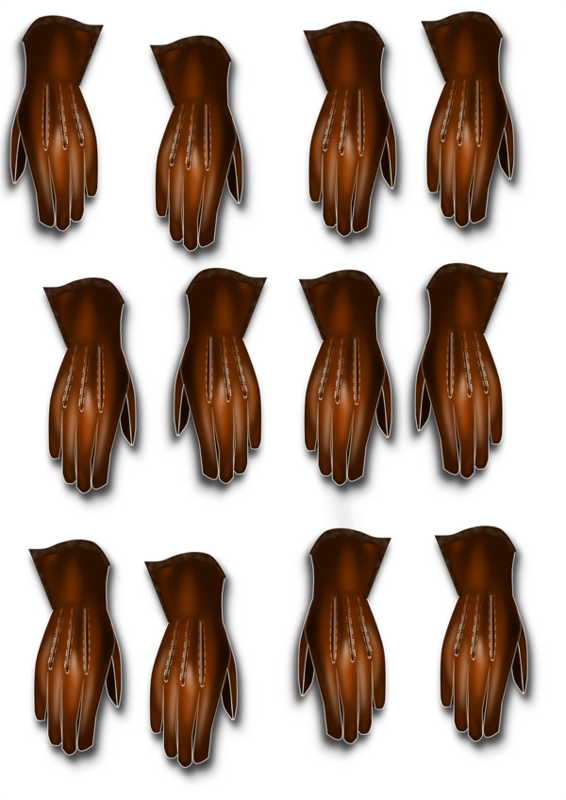 In the third drawing, we have only right-hand gloves. This is said to be an “enantiomerically pure” mixture of gloves, since we have only one enantiomer present. I hope this clears up any confusion! Thank you so much this makes so much sense!!! Can we predict when we will get a racemic mixture? This is the best explanation I’ve ever read on this topic! Awesome! I love you and your website. Saved so much headache!! Thanks for that! Somehow seeing it that way makes so much more sense! Can we always assume that ketones are always achiral & aldehydes are chiral? Thank you for breaking it down with the use of gloves, great technique, I definitely understand what a Racemic mixture is now. Isopulegone is isolated from the reaction and then treated with sodium hydroxide in ethanol.Under the equilibrium conditions of this base-catalyzed isomerization, pulegone is the favored product and, after workup, is isolated as a crude oil (why is pulegone, rather than isopulegone, strongly favored in this equilibrium? What does it matter if you have racemic mixture of something or not? Does it only matter to a chemist? Because when Primatene Mist disappeared from the world, the only OTC asthma medicine now clearly states “racemic epinephrine” Why? Who cares? Why mention it on the label? Is there a functional difference in drug manufacturing? After all we don’t say “isomer of…” for everything that is a drug and an isomer (the diff between generics is often isomers and it affects people especially in psychiatry, though it’s assumed that it does’t matter). So, why say “racemic” on the asthma med then? Great question. Quick answer is: making the racemic version is cheaper and it is almost as effective. Epinephrine has a chiral center and thus could exist as one or another optical isomer, or “enantiomer”. When it comes to drugs, enantiomers often have very different medicinal properties. The classic example is thalidomide [where one enantiomer cured morning sickness and the other caused birth defects] , but this is true even of common drugs on the market today such as the antidepressant Celexa (citalopram) where one enantiomer is more active than the other. The differing effectiveness of enantiomers exists because your enzymes and proteins, for example, also exist as single enantiomers and just like a left hand fits well in a left-handed glove but not a right-hand one, each enantiomer will have a different “fit” within the active site of the protein, causing different effects. Like any other product, manufacturers of drugs have to be mindful of costs, especially in the case of a non patent-protected medicine like epinephrine. While it is certainly possible to make epinephrine in either the pure “D” or “L” forms, it adds extra costs to the process. Making it as the “racemic” version (DL) is generally cheaper. For most purposes it is just as effective. In the case of epinephrine, Wikipedia tells me that the L form is the active component and the D form is inactive. So long as the D form is merely inactive and not actually harmful, it’s cheaper to just make the racemic version and just use double the dose of what you would use for the pure L form. The only thing to worry about is cases where the other enantiomer is actually toxic. Thalidomide is the classic example. In the case of epinephrine it is not a problem. When I took Masters Organic Chemistry at SUNY Stony Brook “Mirror Image” Molecules were either Racemic or Stereoisomers. Regardless of the name the fact remains…When you Buy a Bottle of 1000mg of Vitamin E which is D,L- Tocopherol Acetate half passes through the Body Unchanged. Useless…BUT if separated the cost of Vitamin E would cost close to the GDP of a small country. Great this has taught me. Thanks.